On April 24, 2017, Seo Taiji's agency announced that the legendary k-pop singer will launch a special project to mark the 25th anniversary of his debut. And according to the agency, through the special project, various k-pop singers will remake Seo Taiji's hits, while BTS, one of the most popular idol groups these days will take part in the project as the first participant. Well, you may think it's a great thing but a matter of course because, no doubt, BTS is in its golden days now. But, what you should know is Seo Taiji doesn't collaborate with somebody just because he is a very popular singer. Seo Taiji is a perfectionist and he doesn't let anyone remake his songs. He sometimes is very obsessive about his music. For example, when he collaborated with Zico, one of the most talented young rappers at 2014 MAMA, Zico tried to do ad-lib chorus on stage just like he used to do. But, Seo Taiji said "Hey, just don't do that." Yeah, as I said, he sometimes is very obsessive about his music, and he never lets someone spoil his music. 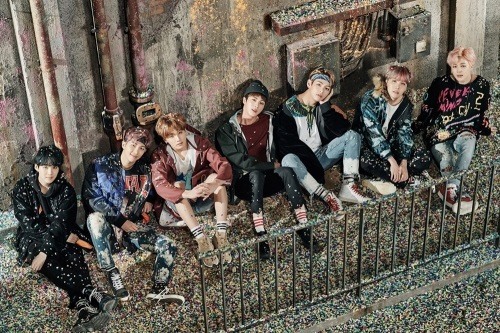 So, what do you think BTS' participation in Seo Taiji's special project means? It means Seo Taiji recognized BTS' musical ability, and he was sure that BTS will never spoil his music. Actually, Seo Taiji watched BTS perform his hit "Class Idea" at 2016 KBS Gayo Grand Festival, and he personally chose the boy group as the first participant in his special project. Well, I'm looking forward to BTS' song too, and I'm sure the wave of BTS' popularity will continue for some time not only because the boy group is enjoying huge popularity among teenage fans but also because the group is being recognized as a competent musician among respected industry insiders such as Seo Taiji. **If you want to know about stories behind BTS' success, download <K-pop Secret Vol.5: K-pop Idol Group Ranking>. :) K-pop Secret Vol.5 contains stories about k-pop idol group ranking. As an experienced k-pop journalist, the author tells the story of the latest trend in the k-pop world. The book includes various stories about the hottest k-pop idol groups such as EXO, BTS, GOT7, TWICE, BLACKPINK and Red Velvet, while the latest version of k-pop idol group ranking is also included in it.